This weekend, New Yorkers can hop a train into the past. Vintage trains dating back to the early 20th century will take a round trip journey from the New York Transit Museum in Brooklyn to one of the most nostalgia-inducing places on earth: Coney Island. The R1-9 "City Cars" with rattan seats and incandescent light bulbs operated from 1932 to 1977, while the D-Type "Triplex" cars with a walkway between train cars ran from 1925 to 1965. In its time, the latter featured the modern innovation of signs that showed train route destinations. The throwback cars will leave at 11 a.m. and return at 4:30 p.m., and the journey will cost $50 for adults who want to ride the rails of history (it’s $25 for younger riders). This isn’t the first time blast-from-the-past trains have been made available to 21st century passengers, and it won’t be the last. 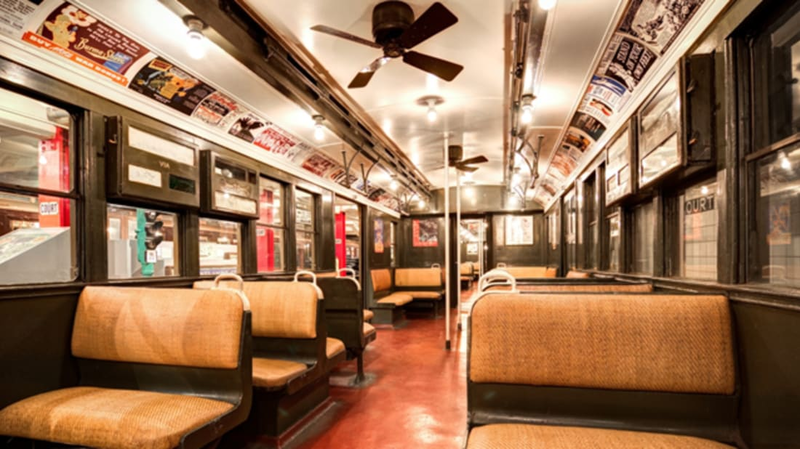 In August, the Transit Museum will offer a similar ride to the Bronx, and subway cars dating back to World War I will run to Pelham Bay Park and Orchard Beach. With temperatures in the Big Apple inching toward 90 degrees this weekend, riders beware: There’s no air conditioning in the cars, only fans and vents to beat the persistent summer heat. For tickets and to scope out all of the MTA’s so-called “Nostalgia Rides,” click here.